We’ve migrated thousands of websites for new customers transitioning from other web hosting providers and we realize many people worry this will be a difficult and confusing task. Can things go wrong? Of course. But if done correctly, it can be a low stress process and there are rarely problems that cannot be corrected. With a proper migration you will not lose any data and experience little to no downtime. For the migration process to be as stress-free as possible, we recommend you (1) have full access to the account with your current hosting provider or a full backup of your website, and (2) plan enough time for a smooth migration. STEP 1: Create an account with your new web host and set a migration window. We recommend you sign up with your new hosting provider thirty days before your existing plan expires and then initiate the migration process at least seven days prior. This allows plenty of time to correct any unforeseen issues that may arise. Your new web host will need time to evaluate the migration to determine what steps need to be completed by them and you, and when these steps should be executed. Do not cancel your existing plan until you and your new web host provider verify that the migration was successful. STEP 2: Make a full backup of your website and download it locally. While every good web hosting provider offers regular backups of your data, it is a best practice to retain offsite backups of your content on your own storage space, preferably on a local drive that you own and control. STEP 3: Ensure you have access to all accounts associated with your web hosting. This includes your DNS records. Many people choose to separate their DNS from hosting. If you’ve done this, be sure you can access and change your DNS records to complete the migration. STEP 4: Perform the migration. This will either be a cPanel to cPanel migration or a manual migration (see details below). If your new hosting provider offers free migrations, you simply provide login information and they will perform the migration for you. STEP 5: Verify functionality on new host. Verify your site is now functioning correctly with the new host. STEP 6: Update DNS records. Update your current DNS records to point to your new hosting provider. Full DNS propagation may take up to 48 hours, which means some users may be accessing your site at your old host while others may be accessing the site at your new host during this time. You can use many online tools such as www.whatsmydns.net to check if DNS propagation has completed. STEP 7: Cancel your old hosting provider. This step is optional. At this point your website is fully running on with your new host. With respect to the website you just migrated, there is no need to keep the account active with your old provider. If your previous web hosting provider uses cPanel, migration is simple and straightforward. This is why most users stick with a cPanel-based web hosting provider. 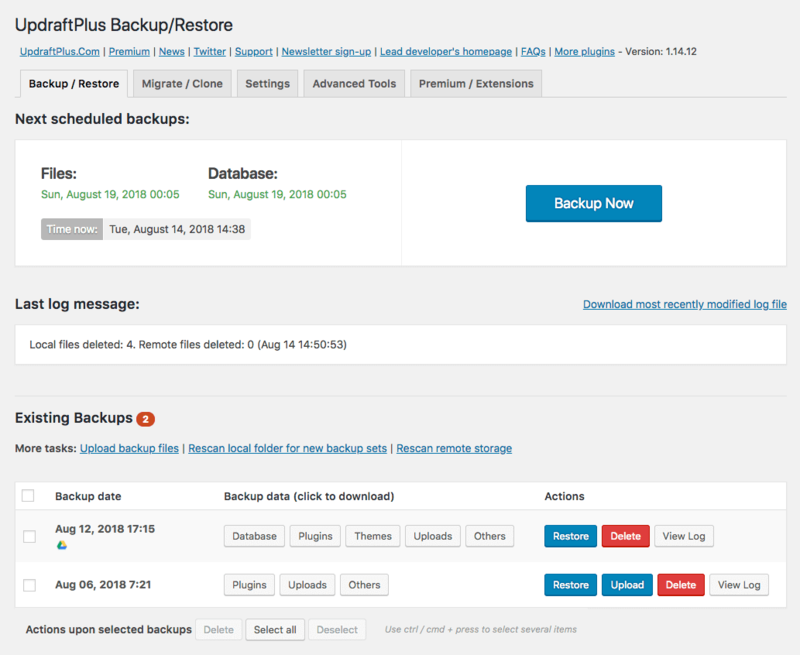 To migrate, create a cPanel backup with your current web hosting provider, download it locally, and restore it to your cPanel account with your new web host. For a detailed explanation read our Knowledge Base article, “How to Create a Full cPanel Backup of your Website” or view the video below. Do not unzip or modify the archive file using an unsupported software, such as the Windows default archive management utility. Doing so might corrupt the entire backup file. Do not make changes to your site or upload new content once you have initiated a migration request. 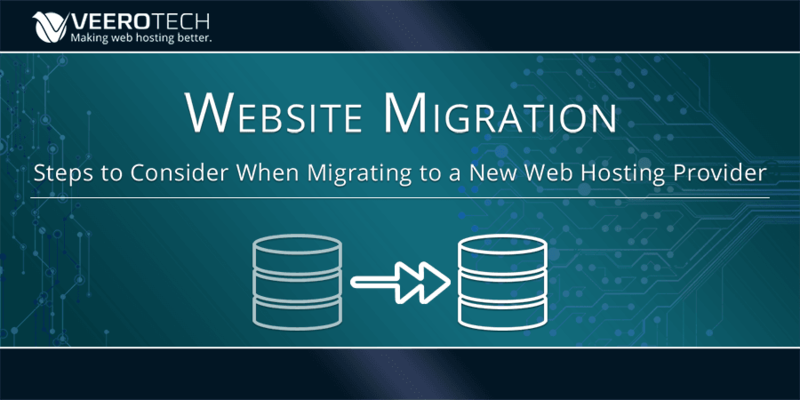 During the migration process, once a full cPanel backup is generated, changes made on the older server’s copy of the site will not be reflected once the website has been restored with the new host. Example: If your site is an ecommerce store and DNS has not fully propagated there is a chance a someone will connect to the store at the old host and make a purchase. This purchase will not be present on the new site since it is recorded in the database on the old host. Work with your new provider to map out the proper migration plan. If your current web hosting provider does not use cPanel, migrations can be trickier since file and directory structure as well as standard terminology and management rules tend to vary from one control panel to another. In this case, the best and safest way is to migrate the website manually, as opposed to the entire user account at once. The manual migration involves copying the website files and database backup to your local machine and uploading it to the new account. Providing your new host access to your old host’s account so they can do the migration is the best way to do this. For static websites, migrating to another web hosting provider often only entails copying the files from one server to another, generally by means of SFTP (secure file transfer protocol), using something like FileZilla or SCP (secure copy protocol), using a tool like Putty or WinSCP. In other words, all you need to do is download your HTML, CSS and other public_html files, and then upload them all to the new hosting provider. For websites that are dynamic in nature and running via a CMS such as WordPress or Drupal, there are specialized extensions and plugins available that can make the task easier. For instance, WordPress users can make use of plugins such as UpDraft Plus to backup their sites, and then restore them via SFTP to the new server. All in One WP Migration is another such plugin. While migrating to another web hosting provider by means of such backup plugins is very easy, the only thing that needs to be taken care of is the database. Often, there might be conflicts or clashes with the records of an existing database on the new server. It is, therefore, a good idea to migrate to a brand new and fresh hosting account. Furthermore, make sure that the PHP and MySQL versions on the new server are the same as the ones currently being used by your WordPress or Drupal website. For example, if your existing server is running on PHP 5.x and the new server has PHP 7.x, there may be compatibility issues when attempting to clone or migrate using an automated plugin. It is wiser to upgrade to the same versions of MySQL and PHP and then attempt the migration. When migrating to another web hosting provider by means of a full cPanel export, all email configuration including forwarding settings are automatically migrated. However, when doing the migration manually, that is, using a WordPress or Drupal extension or by means of SFTP, email rules need to be migrated separately. You will need to work with your web hosting provider to better comprehend the best possible way to migrate email configuration. At this point it is safe to change the DNS records to those specified by the new web host. It is worth repeating that you should ensure that your website content is still available on the older server — this means you should have two copies of your data, one on the older web hosting provider and the other one on the newer hosting provider. This way, should there be any delay in domain name propagation, your website will still be accessible to visitors and search engine crawlers on the older server. In other words, there will be no “server not found” error messages. In addition, you should refrain from making changes to your site at both providers until you are certain that the domain name has fully propagated. As can be seen, migrating to another web hosting provider is not as tricky or complicated as it might sound. For cPanel users, life is rather easy. For other control panel users as well, there are plugins and tools available that can help get the job done in a lesser amount of time. We’ve migrated thousands of websites and provide free migrations when you sign up. If you have any questions we’re here to help.